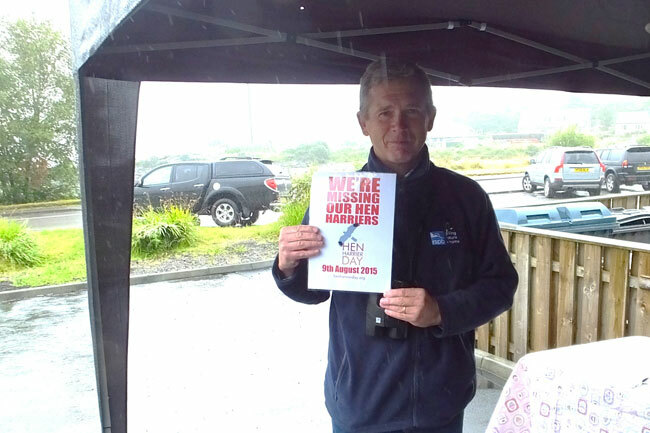 Out of the 7 National Hen Harrier day events I was very fortunate to be at the Isle of Mull day organised by Ewan, Rachel and Cain –http://inspirewild.co.uk/ . The difference with the Mull Hen Harrier protests being Ewan was running his bus to show people Hen Harriers on the island on the same day. This was the only Hen Harrier event to do so other than Terry Pickford’s walk up the Dunsop Valley in Bowland where no raptors other than a kestrel was seen! Well we know shooting estates kill harriers before a shoot, this is done to prevent harriers flushing the Red Grouse away from the guns! The day started with drizzle but ended with sunshine and 7 sightings of harriers under the belt. 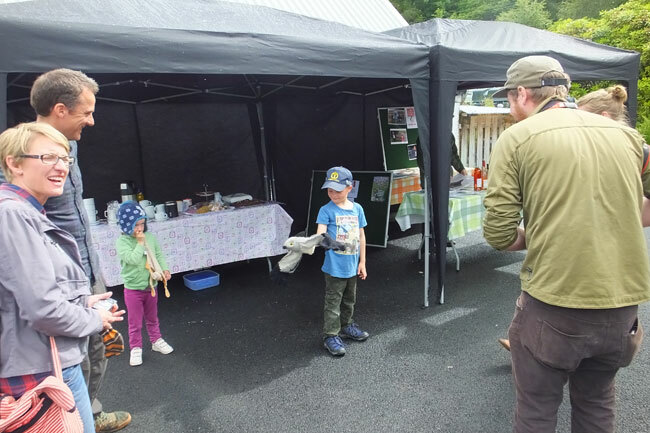 There was a cake stand, raffle prizes and a silent auction with donations from around the country especially including Ian Langford from Langford Press who donated books including Donald Watson’s famous book with his love for Hen Harriers. 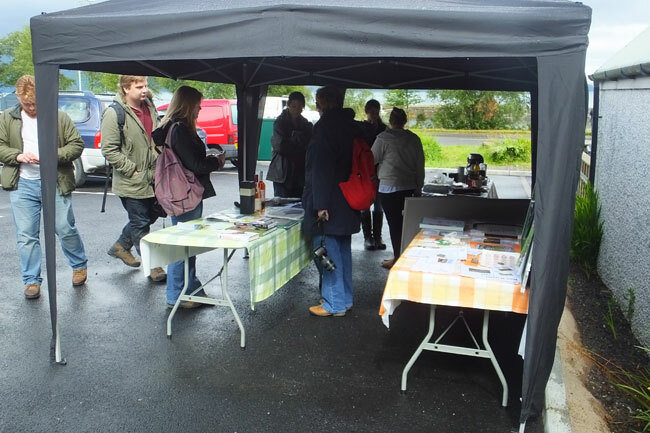 Locals supplied cakes and Sarah made a terrific cake iced with the Hen Harrier day logo. You could bid for a 3 night stay On Mull, a framed image of harriers or the classic ‘There and back’ migration book done by various artists including Mike Henry yet another harrier devotee.